Accent chairs are becoming increasingly popular in home decor, and for good reason. Stylish and versatile, the accent chair allows us to be playful with design, while also adding additional seating and new ways to use your space. Ideal in the living room, bedroom or even to make better use of an otherwise empty hallway or landing, an accent chair provides the perfect spot for reading, and makes for great social seating too. This bold design uses contrasting colours to create a real impact. As a subtle statement piece, this is the perfect way to add a pop of colour in a contemporary style. 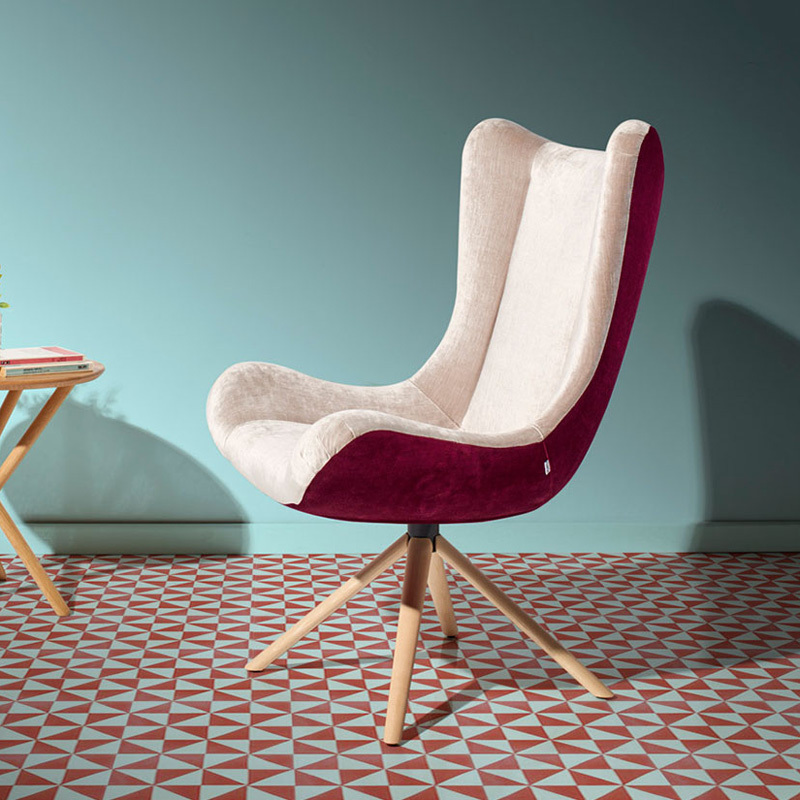 Inspired by mid-century designs, the Andrea Armchair is updated for the 21st century with colourful upholstery and contrasting legs. Available in a variety of finishes, this is simplicity redefined. Made from beautiful quality materials, this modern piece focuses on muted tones. Humble in many ways, the quality in this design is striking, making the chair a real head turner. Ideal for minimal and Scandinavian inspired interiors, we particularly love the pale wood and tan set style. Made from gloriously soft leather, the Margot Armchair in tan is most at home in interiors that use lots of natural materials and textures. With gold structured legs, the unusual design is paired back by the use of just two quality materials. Made from solid canaletta walnut, the deep tone of the wood against the pale grey upholstery makes for a striking contrast. Perfect for teaming with contemporary style sofas, try this armchair paired with a three seater style in a similar grey, or use alone in the bedroom as a reading chair. Available in a variety of finishes, the Lase Armchair by Belta & Frajumar features a plush upper, supported by a simple wooden frame. From simple grey to red and cream velvet, this style can be subtle and unaposing, or bold yet still simple in structure. Choose to allow it to slip comfortably into your scheme in a soft grey finish, or go for something bolder to create a statement piece. Sleek and simple, it’s the contrasting black legs of the Lolyta Due Armchair that makes this design unique. Featuring solid black legs and a grey tub style chair, this is comfort in contemporary design. The textured stitched finish to the body of this chair adds just the right amount of interest. Try investing in one of each style to create a cosy reading area with a round coffee table and magazines stacked in between the two chairs. Available in a range of colours and finishes, the Porada Daphine Armchair is made from solid ash. The deep round seat adds a retro feel to this design, which can be upholstered in a variety of materials. This deep set chair makes for the perfect statement piece, while the round shape makes it versatile and easy to place. This supersized piece features graphic lines, softened in a plush upholstery. Inviting you in to sink down, unwind and relax, the high back of this chair ensures maximum impact and comfort. 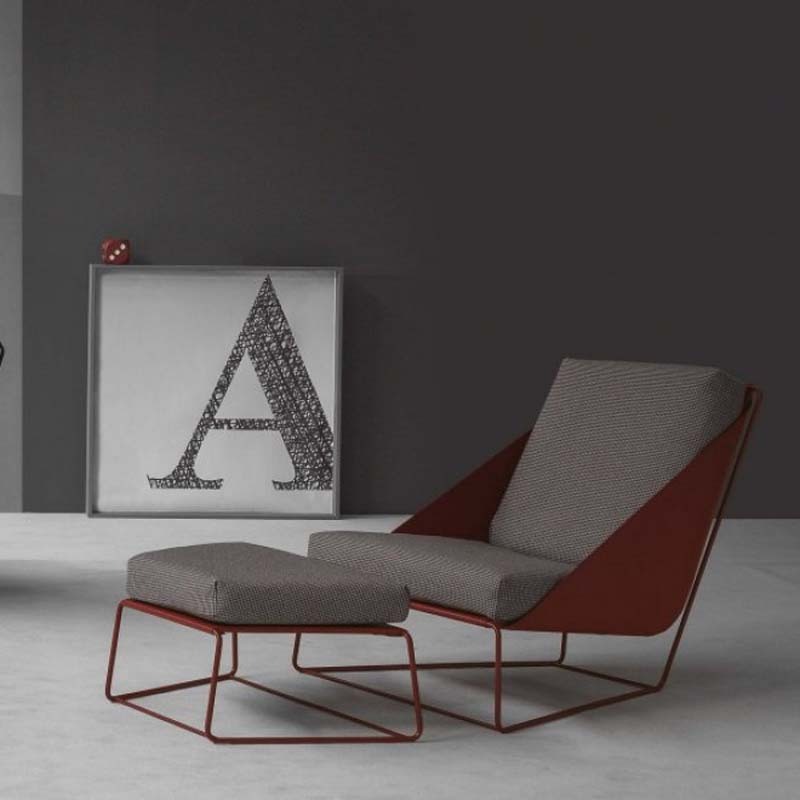 The large and bold shape of the chair is beautifully contrasted by the simple and slender metal legs. Classic design redefined – Bonaldo have taken one of their traditional designs and brought it into the 21st century with the Alfie armchair. Comfortable and modern with a mid-century feel, this relaxed design will add sophistication and allure. One of the main design features is the slightly reclined seating position, making this chair both beautiful and wonderfully practical too. This truly unique design will create a beautiful statement piece. Unusual in the sense that it’s not the size of it, or a bright patterned finish that creates the wow-factor, more the unusual shape and playful pop of yellow that makes this piece striking. Made from solid wood with an upholstered seat, the unusual shape of this frame will be a real talking point among visitors.